I’ve spent the last two days running around Albuquerque with Justin, a friend and co-worker. 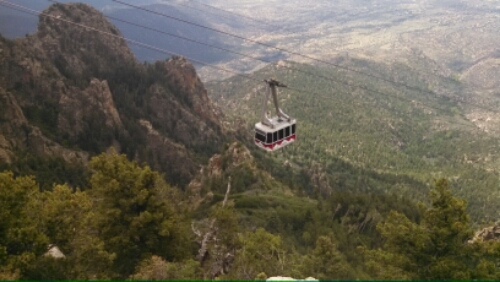 Today we decided to ride the tram up to the top of Sandia Peak . It’s the longest tram in the world. 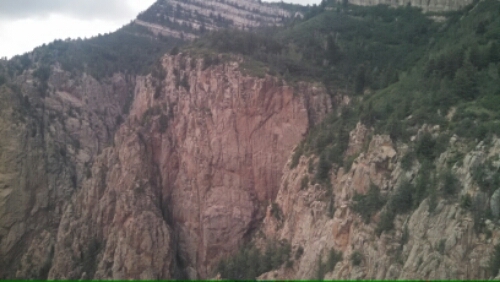 You end up going over 1000ft above the canyon below. 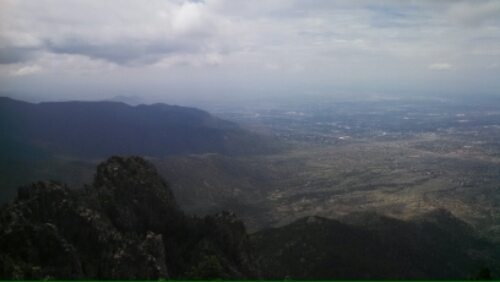 The views of Albuquerque are amazing to say the least. However, be warned, it can be a bit scary on the ride up. Nothing like swaying from a wire a thousand feet above the ground. 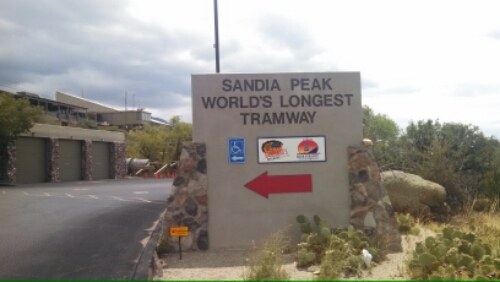 The sign at the entrance to the Tram. 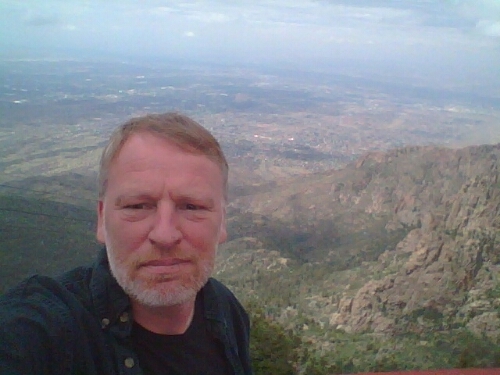 Here I am at 10,378 feet above sea level looking down over the City of Albuquerque. Here is what it looks like down onto the flatlands below. It was a bit hazy and overcast, but wow, what a view. I took this picture on the way back down. It’s pretty country.